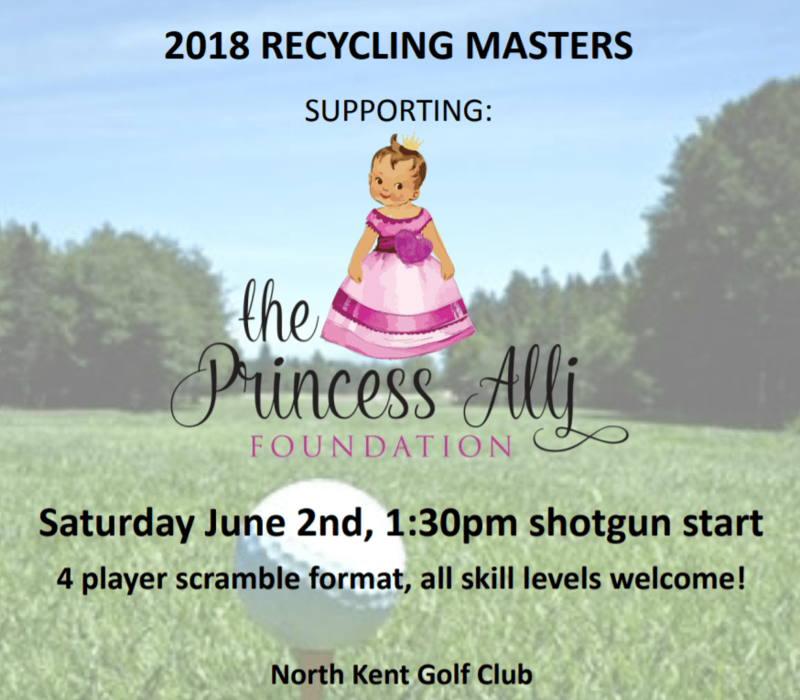 You are cordially invited to the 2018 Recycling Masters supporting Princess Alli Foundation! Saturday June 2nd, 1:30 pm shotgun start. 4 player scramble format, all skill levels welcome! PARTNERSHIP OPPORTUNITIES AVAILABLE. Please contact Travis for more details. Join the online discussion on Facebook. Princess Alli Foundation is a 501(c)(3) public charity.